In Boundless, a collection of graphic short stories, Jillian Tamaki's characters grapple with modern-day malaise and magical annoyances. 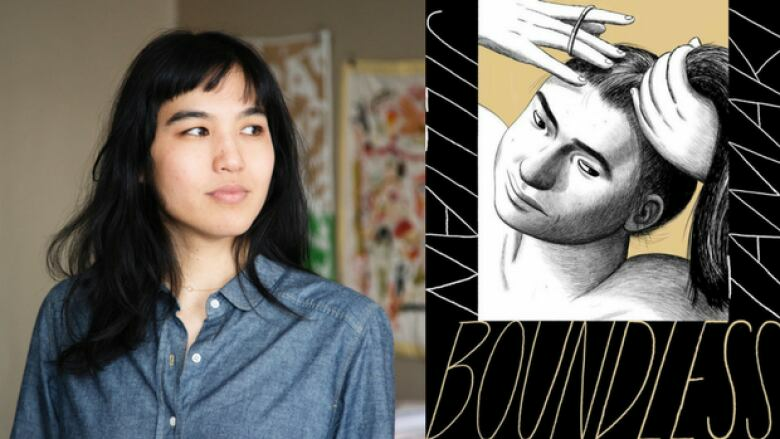 In Boundless, a collection of graphic short stories, Jillian Tamaki's characters grapple with modern-day malaise and magical annoyances. It's the latest book from the Canadian comic artist, who has won several awards for her work, including the Eisner Award (for This One Summer and SuperMutant Magic Academy) and the Governor General's Literary Award for children's literature – illustration (for This One Summer). This interview originally aired on Sept. 4, 2017. "I grew up in a very white part of Calgary. In the 1980s, there were not a lot of mixed-race kids so I was constantly looking around for images of myself. Now that I'm in the position of being an image maker, it's something that I take seriously." "Women's bodies are literally one of the most political things on the face of the earth. How you choose to depict them is very loaded. In terms of the range one can depict human bodies — there's so much information baked into an image. In terms of the execution, it was always about how it reinforces or add to the message of the text or story. Things spin off into unexpected places and you can't predict them or control them. Works of art take on a life of their own. That's something I've learned while making books." Jillian Tamaki's comments have been edited and condensed.